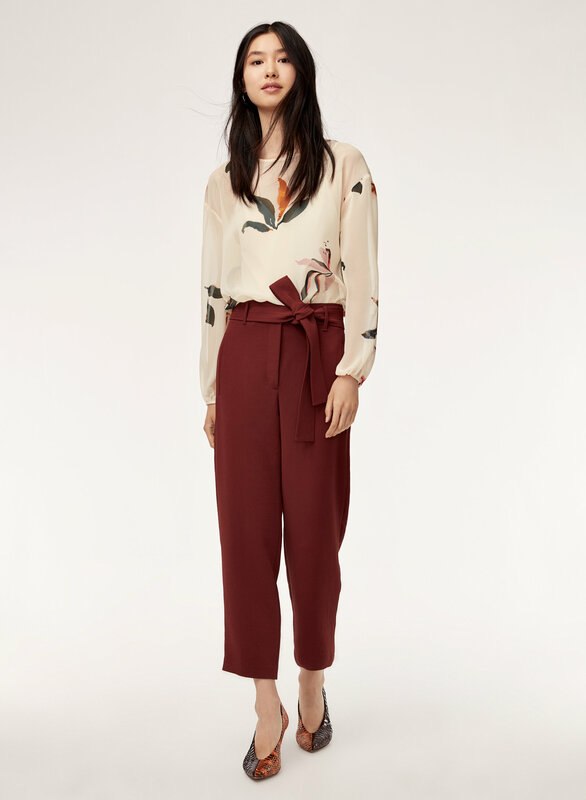 Styled with tie-front pant . 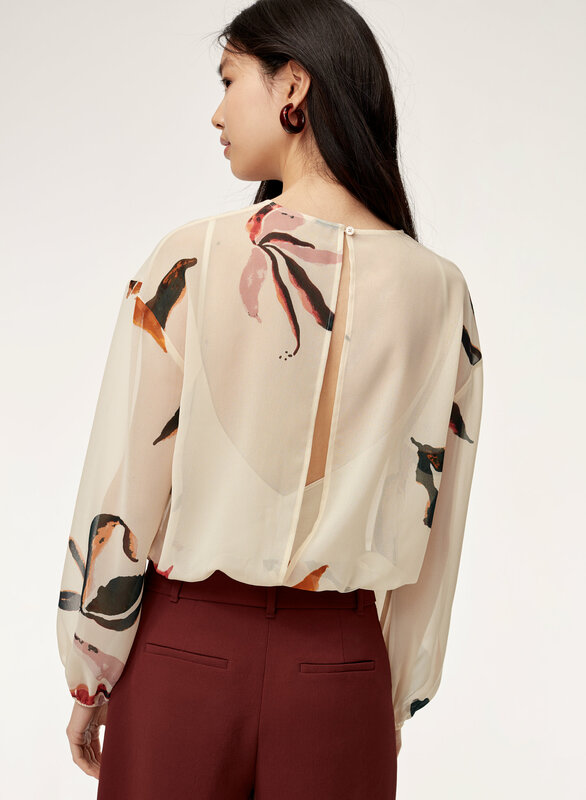 Taking inspiration from '30s boudoir styles, this bodysuit has two parts to it: a slim-fitting bodysuit made with a soft stretch jersey, and a sheer chiffon top layer. Please note, bodysuits are final sale. All bodysuits, swimwear, hosiery, jewelry and all intimates except bralettes are final sale. Please visit our returns page for additional details on eligibility, timelines and how to process your return. One star off because there is no snaps but otherwise its so nice! I did bring it to my tailors to get the open back stitched up so that it was work appropriate. Another thing is that the sleeves ballooned out just a little bit too much that it looked a little big. I would still recommend. 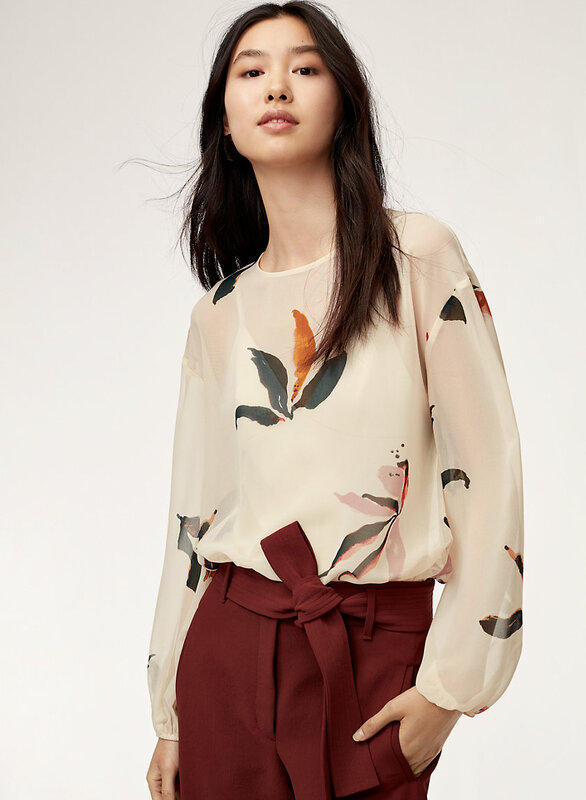 The perfect cross between a blouse and a bodysuit; great for everyday when you want to feel a little more dressed up! Comfortable and flattering. I highly recommend!